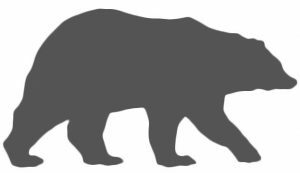 Welcome to the Cantabrian Brown Bear Research Group webpage! Since 2014, our group which is based at the Research Unit of Biodiversity (UMIB, Asturias, NW Spain https://www.unioviedo.es/UMIB/) has been studying brown bears in the Cantabrian Mountains. Our mission is to conduct scientifically-based research that provides insights into brown bear ecology, behaviour, conservation and management. From an applied perspective, our purpose is to help ensure brown bear long-term conservation in the Cantabrian Mountains (our main study area) and, thus, help manage the challenge of sharing this human-modified landscape with bears. Our group is a team of researchers from the Spanish Council of Scientific Research (CSIC) and the University of Oviedo, as well as students and field assistants with interests and expertise in top predator ecology and behaviour, predator-prey relationships, and carnivore-human conflicts. We are a truly interdisciplinary group and our research (i) is strongly quantitative, (ii) is designed for publication in peer-reviewed journals and (iii) integrates theoretical and empirical information. Our research projects are supported by contracts and grants from state ministries and non-governmental agencies as well as private organizations. We edited a new video with the images from our wildlife camera: The Interaction Tree II!